I’ve been doing a lot of flying lately as I blogged in my Frequent Flyer post. 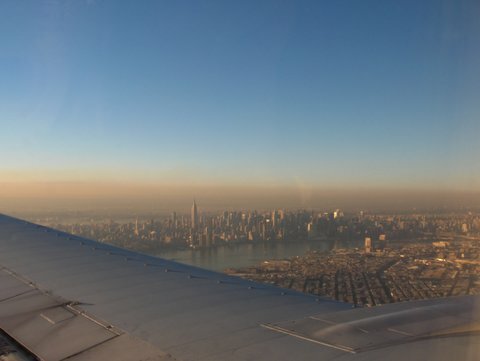 I never tire of the sight of the island of manhattan on the left as we land in LaGuardia. This is what it looked like last wednesday afternoon.